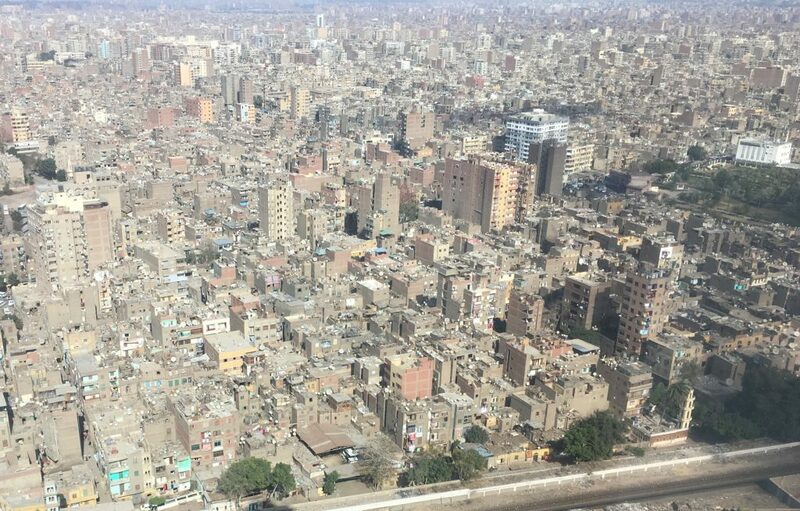 Cairo, the capital of Egypt, can be overwhelming. The largest city in the Middle East, with over 20 million people, Cairo is big. And there’s a lot more than the pyramids to see. If you’re time-pressed, you’ll want to be organized and know what to see, and how to see it, in the most efficient way possible. 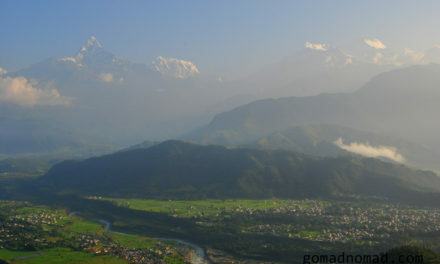 In a surprisingly short time, you can see the main sights and take in this ancient yet vibrant city. The trick is to be patient and accommodating with the place. If you are, it and its people will be with you. 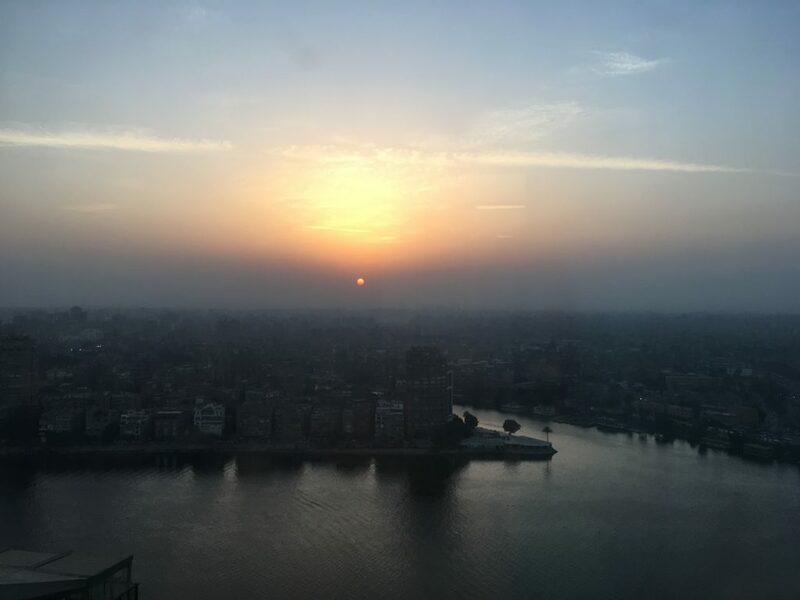 Here’s your guide to two days in Cairo, to see the essentials and take in the vibes. For an authentic and homely Egyptian breakfast, head to Zööba, in Zamalek, the island right in the center of Cairo. Order Alexandria Ful, a traditional fava bean dip with onions and lemon juice. Continue with Taamia, Shakshouka, and Roumi cheese to be set for your first of two days of exploring. Don’t wait, do the pyramids, while it’s still relatively cool out. 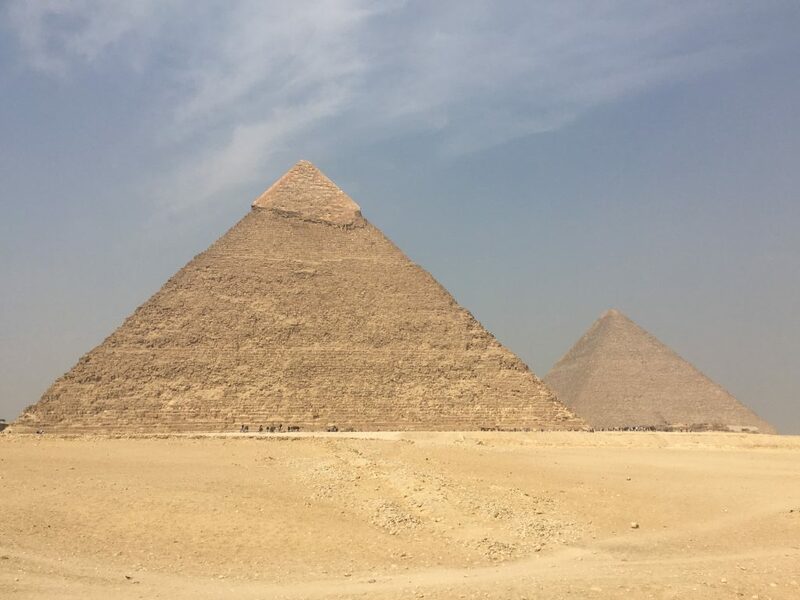 The best way to get around Cairo, in general, is Uber, or alternatively Careem (its Dubai-based Middle Eastern competitor) and white taxis (make sure the meter is turned on; asking for “Al-Ahram” and making a silly triangle with your hands should get you to the pyramids). Head straight to the main entrance with actual ticket booths, ignoring everybody telling you that the real entrance is somewhere else. Get the ticket for the grounds and entrance to the Pyramid of Menkaure. It’s smaller than that of Khufu, but more worthwhile because there are always fewer people, and the passages are a bit more interesting. Inside both pyramids, however, all traces of the pharaohs are gone. 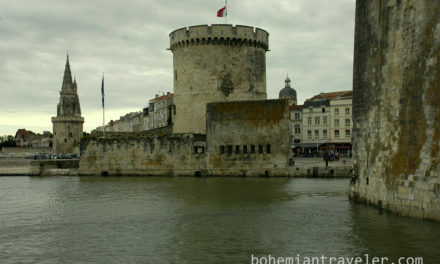 But it’s cool to envelop yourself in the feeling of really being inside a structure so old. Walk farther past Menkaure and turn around for the classic panorama. Finish with the Sphinx, near the second entrance/exit, and leave from there. 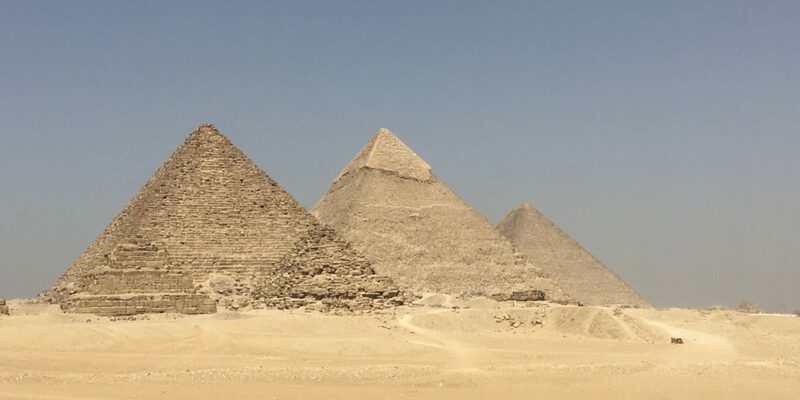 The pyramids shouldn’t cost more than $25 with the all-inclusive ticket. Head back to Zamalek for lunch. At Taboula, you’ll find tasty Lebanese food, fresh juices (try the lemon-mint) and no crowds (perfect for time-pressed visitors). You may want to stick with a selection of the many hot and cold appetizers: your day isn’t over! 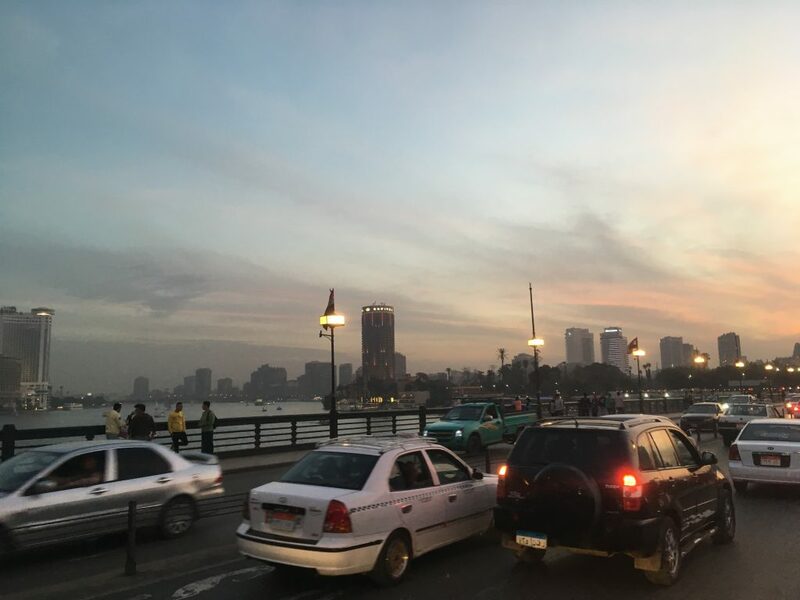 Cross to the right bank of the Nile to Egyptian Museum, right on Tahrir Square, the beating heart of giant Cairo. Spend a few hours here to take in everything Ancient Egypt. 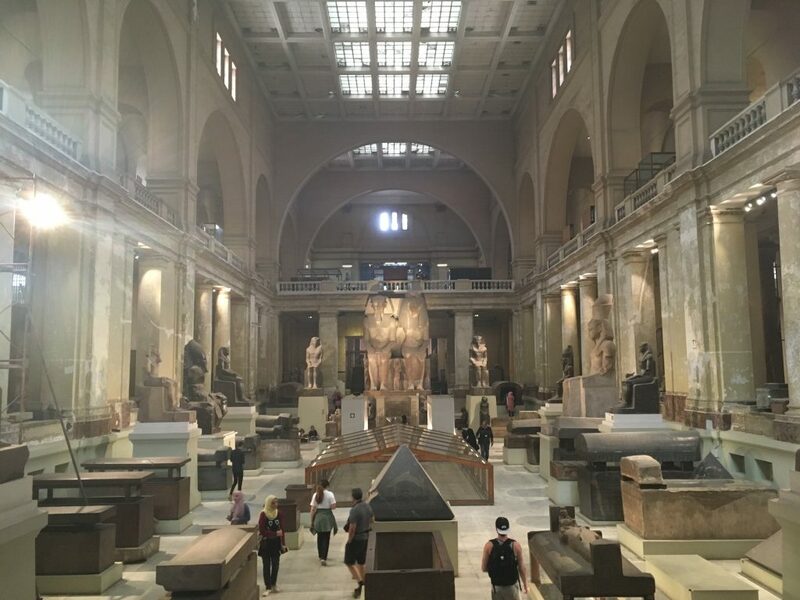 Though the museum isn’t up to the standards of many in the West, with artifacts lying around all over, it’s a must, and especially great if you’re not able to see the big sites in Upper Egypt (in the south). Unique, creepy, cool, and almost mystical are the mummy rooms. Staring down at the kings and queens of Egypt from thousands of years ago is quite the experience. Finally, the gift shop is expansive, with stands selling handicrafts of all sorts. Stop by that of Nagada, where you’ll find hand-made cotton and pottery products, like scarves and bowls. 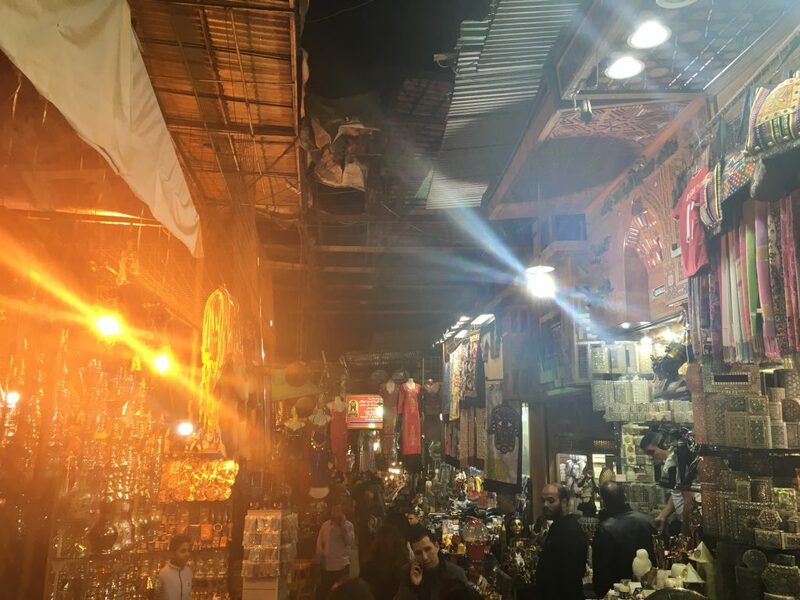 A stay in Cairo wouldn’t be complete without plunging into the souk, the huge, open-air market. Cairo’s most famous is Khan Al-Khalili. Shop your heart out, but negotiate negotiate negotiate! Lose yourself in the sounds, sights, and smells of the Khan, around in its current form since 1511. 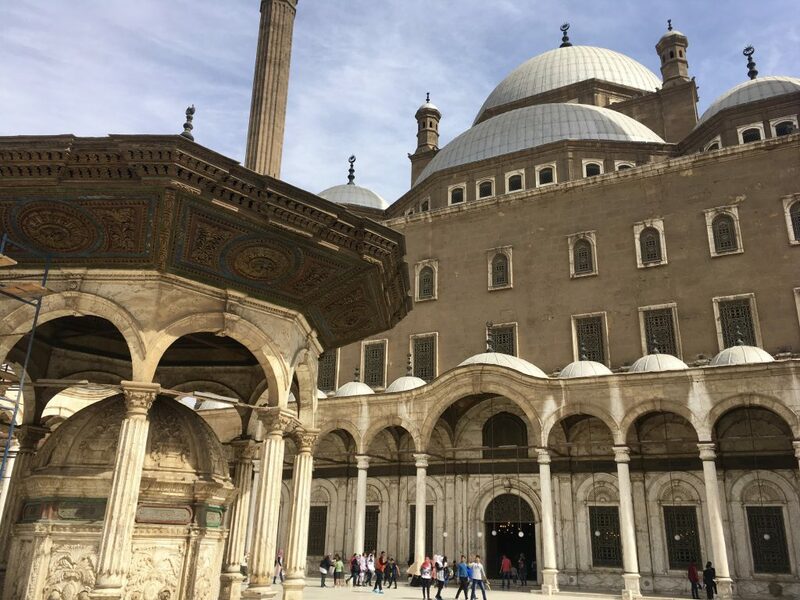 If you have a daylight hour left after the Egyptian Museum though, be awed by the Al-Hussein and Al-Azhar Mosques nearby (closed at sundown). Though the Khan is nowadays geared toward tourists, its surrounding areas still cater to locals, like the goldsmiths’ souk. In the middle of Khan Al-Khalili is Naguib Mahfouz Cafe, named after Egypt’s most famous writer and only Nobel Prize winner. With live music, whirling smoke, a great ambiance, and of course, great Egyptian food, this is the place to go. Call ahead to reserve, else you’ll be turned away with the dismissive phrase “in an hour, inshallah.” Alternatively, the Khan is famous for its small coffeehouses, offering up loads of shisha. Grab breakfast to go, and head to the Saladin Citadel. Again, before it’s too hot of smoggy, come here to enjoy sweeping views of Cairo. After glimpsing the city from the winding street of Khan Al-Khalili, this will be different. On a clear day, you can even see the pyramids. 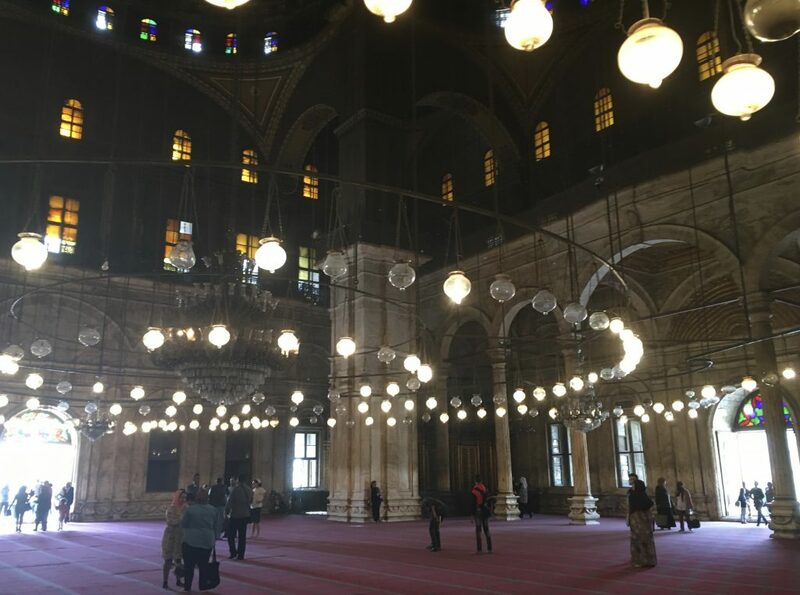 The Citadel is home to two beautiful mosques, too. And right below the fortress are the mosques of Sultan Hassan and of Al-Rifa’i, two of Cairo’s most beautiful. Grabbing a kebab on the go from a hole-in-the-wall place is part of the Cairo experience. Any place will do. Head to Coptic Cairo in the afternoon to learn about Egypt’s Orthodox Christian traditions and see some beautiful churches. The most famous is the hanging church, first built in the 3rd or 4th century. Calm and subdued, which can’t be said about much of Cairo, Coptic Cairo begs reflection and a certain slowness. It’s fascinating to get a sense of Egypt before the Muslim conquest of the 7th century. See as many of the old churches as possible; they’re all different. 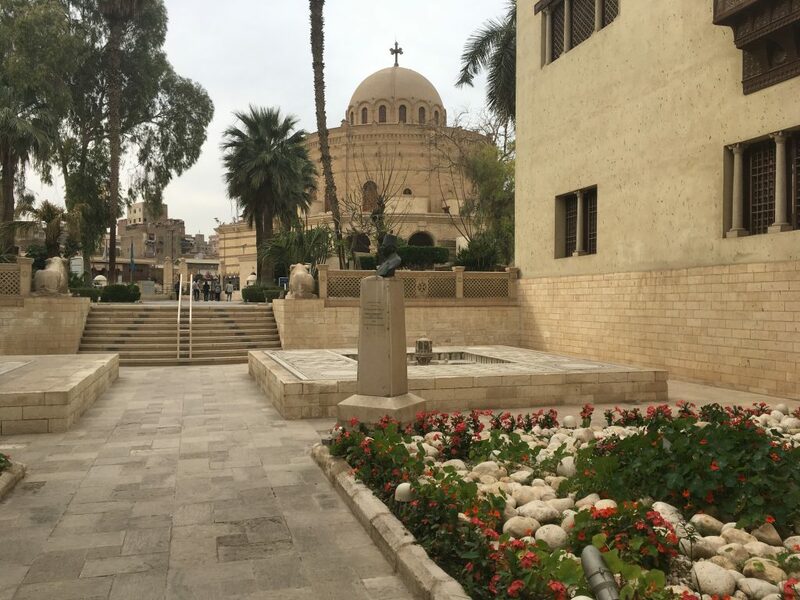 Large, well maintained, and clean is the Coptic Museum, with wonderful artifacts, paintings, and manuscripts from pre-Islamic Egypt. Never crowded yet always captivating, this is your final must for two days in Cairo. Take a feloucca ride on the Nile. Indeed, an hour on a traditional sail-boat is a novel and relaxing way to see Cairo from a fresh perspective. Felouccas have been a mainstay of traditional life on the Nile for thousands of years. Catch a ride from in front of the Four Seasons Garden City. Sunset is best. 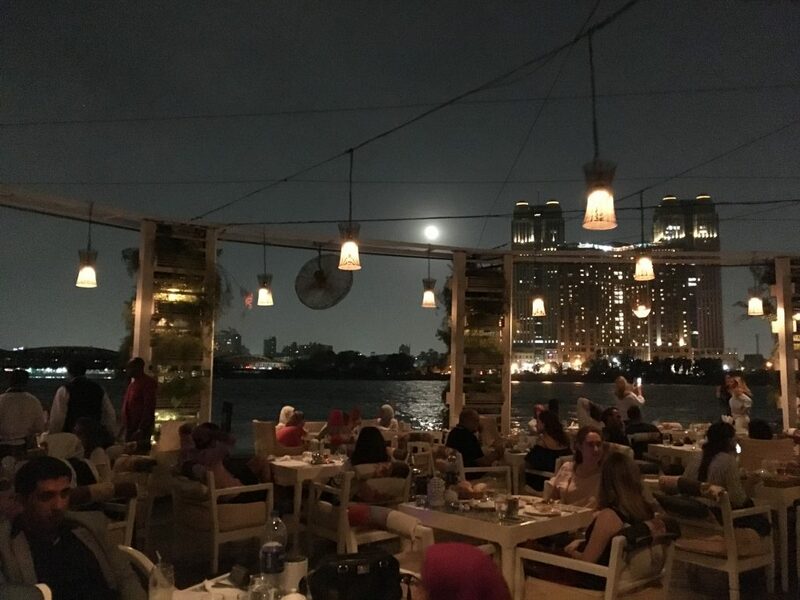 For your final dinner in Cairo, go to Sequoia, at the very tip of Zamalek. On offer: great Egyptian food (get the mini shawarmas to share), comfy setting, shisha, and cool river breezes.